Lewis awoke on his twelfth birthday to find he was a bug. No, wait, he was still just a boy. No, wait, he's a dinosaur! Phew, still just a boy. He was not imagining himself as a bug and a dinosaur. He was coming into his shaping abilities. Lewis was a shaper from the planet Xor. He didn't know he was a shaper. He didn't know he was from the planet Xor. He had been adopted as a baby by a nice Earth couple or as people on the planet Xor called Earth: Backwater. Lewis's mission after gaining his abilities was to save Xor from the Realm Pirates. They were slowly turning the planet black and when the entire planet becomes black it's gone, all gone, everything and everyone inside it, including Lewis's real parents: Lord and Lady Shipper. I don't read much fantasy, but I do enjoy it from time to time. 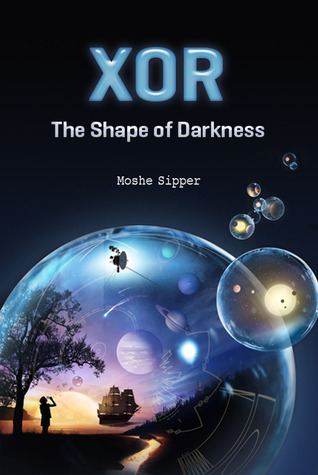 Moshe Sipper created a fun world involving Shapers and other crazy characters. Lewis's mission takes him on a journey through himself. The moral of the story is one worth reading. The story did seem simplistic, but for a middle school age reader that might be a good thing. What is Xor? What is a shaper? Who are the Realm Pirates? Does Lewis save the world? Find out in this exciting fantasy story. I read this as a review request on the Kindle App on my laptop. All opinions expressed are my own and I was not compensated in any way.